Stunning Spacious Rambler in a coveted cul-de-sac. 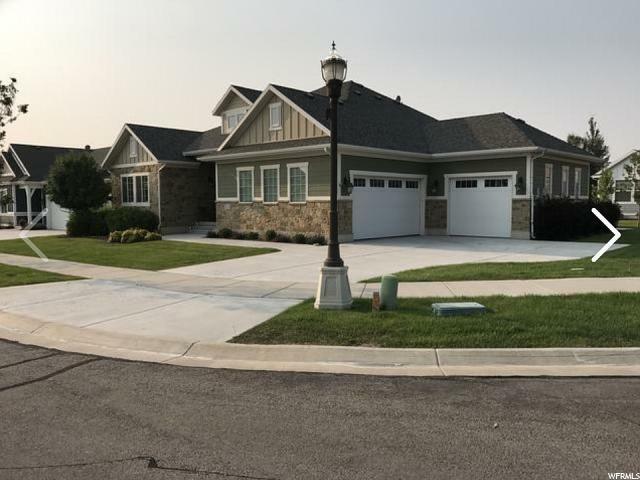 6 Bedroom, 4.5 Baths and a 3 gar garage. Walk into your Large 3.5' wide x 8' tall front door enjoy 11' ceilings throughout the main floor. 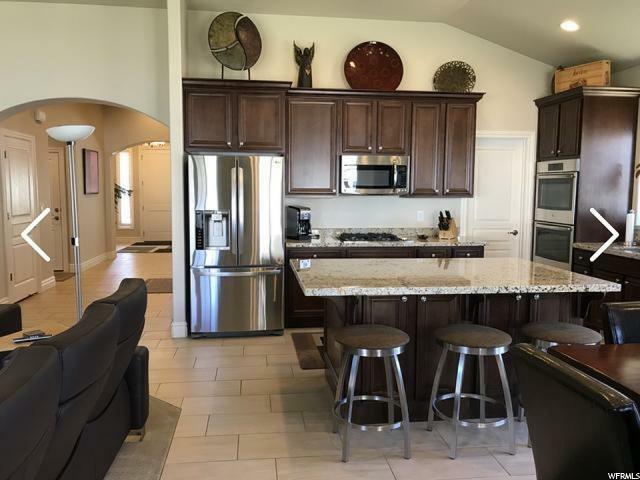 Packed with upgrades, you'll enjoy Granite counter tops, Stainless double oven, dishwasher, microwave and gas cook top. Flow through the extra wide hallways, arch ways and stair case. Continuous tile floors from entry through main hallway to bedrooms and kitchen area. Your Master suite includes a walk in closet and space to relax in the large garden tub, with separate shower. Other highlights include; Main floor rooms: Master bed & bath. Separate guest suite with its own private bathroom, family room, office, kitchen, laundry room, half bath and mud room. 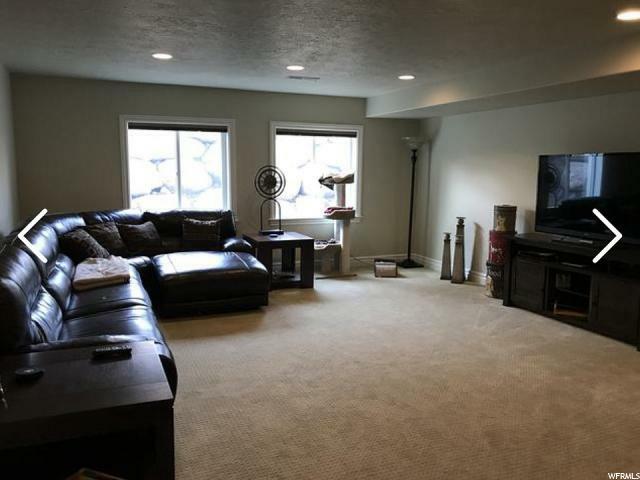 Basement rooms: 4 bedrooms, 2 full baths, family room, cold storage, and regular storage room. Separate high efficiency furnaces and thermostats for main and basement levels. Home is plumbed for central vacuum. Gas fireplace. Full window coverings (wood shutters and roller shades). Fully landscaped with automatic sprinklers. House faces south. See attached floor plans of house layout. HOA is wonderful and takes care of all landscape maintenance in the summer (including mowing, weeding, edging, winterizing, fertilizing) and snow removal in the winter. 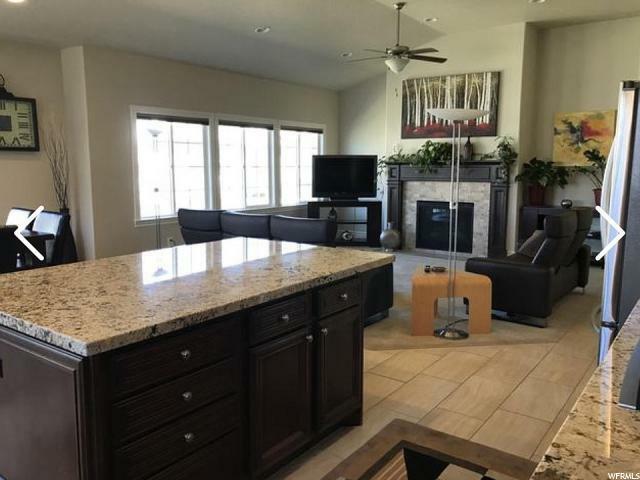 Easy access to the canyons, freeways and parks (park is one street over) world class ski resorts shopping and eateries, home provides all the elements for relaxing, comfortable and easy living! *** PRESS THE TOUR BUTTON FOR FULL MOTION VIDEO OF THIS HOME *** Square footage figures are provided as a courtesy estimate only and were obtained from County Records. Buyer is advised to obtain an independent measurement.